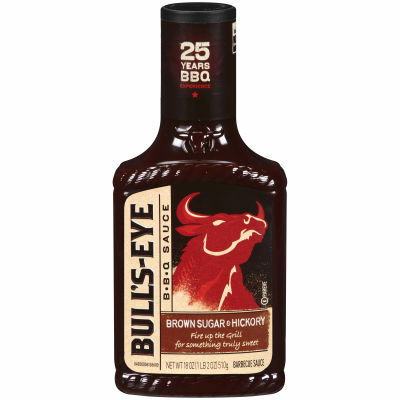 Finger Licking Barbeque SauceBull's-Eye Barbeque sauce is great for grilling, just dip and lick. Grill up sweet & sticky ribs or fry chicken shots using this smooth, thick sauce with a shot of apple cider vinegar.Make Your Meal Succulent and TandyThis Brown Sugar & Hickory Barbeque sauce is made with fresh grinded spices, Caramelized tomato based puree and other preservative flavors specially brown sugar, creates that attractive brownish color, tangy and sweet flavor. Fire the Grilled and tenderize the marinated meat, served with it or dip in it.